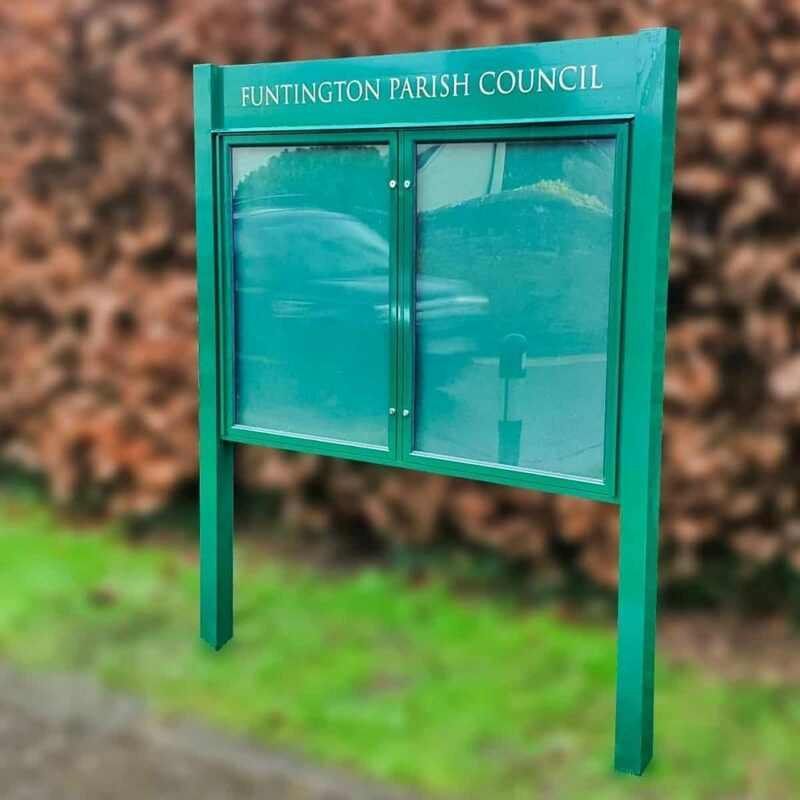 Noticeboards Online were recently commissioned to design, manufacturer and install their new noticeboard. Even though it was pouring with rain, and ground was frozen, our team battled the elements and successfully completed the job on time. They chose our ever popular Double Door Varicase noticeboard which now comes with a 10 Year Guarantee! For more information on this product, take a look at this web page.